Spiritual Coach - Inspiring & Empowering People Worldwide! Learn from internationally renowned spiritual healers, authors, and life coaches. 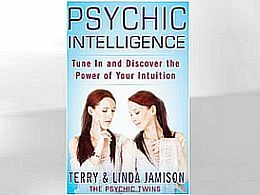 Gain insights that will help you increase your love for yourself and others. Your most important relationship is the one you have with yourself, and the "power of influence" is all you've got, and that is plenty. If you are happy but meet up with a person who is frustrated, then the energy that is going to dominate the conversation is the one with the highest momentum. This means that if you want to influence a person from a higher frequency, you have to become stable and train your vibration on a daily basis. When your positive vibration is stable, then anybody you meet up with must join you on your frequency. The articles on this site will teach you how to re-train your brain to raise your vibration. You will find powerful tools that will help you change your life! Did You Miss The Web Class On...? ...."A New Earth" with Eckhart Tolle and Oprah. Here is your chance to watch the videos and learn from two of our greatest spiritual teachers. Find out how the Ego works, what it feeds on, how it survives, and how to release it. When you let go of your Ego, you create a "space" that allows you to listen to your inner voice and guidance. When your Ego no longer rules and sabotages your life, you will find yourself living a smooth life filled with ease, harmony, happiness, and success. These 10 web-classes are very insightful and will change your life forever. 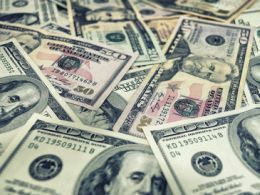 Are you tired of not having enough money? Do you want to be rich and successful? If you are ready for prosperity and abundance, read and apply the following tips. Learn to attract money into your life. You won't regret it! Boost Your Energy And Health! In order to optimize your health, you need to balance your body, mind and spirit. Get more balanced and reach perfect health with some simple exercises. 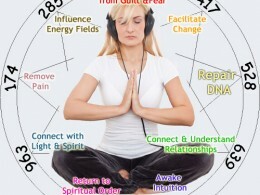 Learn about powerful healing tools to increase your energy level. Do you need a Spiritual Coach in your life? Have you realized your life is not where you thought it’d be?... Have you noticed the many detours you have taken without thought? If you have, you may want to think about spiritual coaching to help you get to the origin of the emotions and beliefs that impel any behaviors you might have. Spiritual coaching is a method and approach in understanding your life’s purpose, by awakening your inner spirit through enlightenment. By doing so, you will learn to grasp the true essence of your spiritual being and live a life full of love and inner peace. Spiritual Coaching is a gift to yourself.... We all have habitual behaviors that we endeavor to change. Problems reside in our lives and the help of a spiritual coach may prove to be beneficial and would be an amazing gift to yourself. But what would you gain by working with a spiritual coach and what are the benefits of the coaching? Though the profits of life coaching are as diverse as the people who coach and those who receive the coaching, the benefits are endless. Discover your life's purpose... Along with helping you unlock hidden potential and uncover hidden beliefs, a spiritual coach can help you discover your life’s purpose, go beyond previous limitations, free you from unhealthy relationships, increase your self-esteem and self-awareness, increase effectiveness and productivity, eliminate fear, stress, and worry, simplify your life, get and gain a clear perspective about your divine purpose, open your creativity, increase your energy and well-being, learn to embrace the now, release dependency issues, and even find your independence. Create the life you want... What core beliefs and covered up emotions are automatically deliberately destroying your life? Don’t you think it’s about time you invested in yourself by creating the kind of life you really want to have and finally accomplish all your dreams and goals? Invest in a spiritual coach. Your coach can help you to gain a different perspective and help you to see your life in a clearer way because spiritual coaching is the basis for helping you regain focus, clarity and purpose. 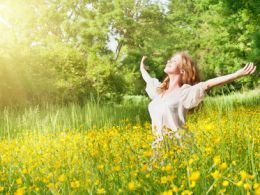 You are more than your physical body... Today, the word ‘spirituality’ or phrase ‘being spiritual’ is used in excess, but what does it really mean? To understand what spirituality is we must initially realize who we truthfully are. In broad-spectrum, we are taught that we are substantial or physical beings living in a world that is just as substantial as we are. When in reality, we are holy entities that live in physical or material bodies. If we were nothing but physical beings, we wouldn’t have the ability to examine ourselves and have the imagination that we have. With that being said, let us take a closer look at what spirituality is. You are connected with every living thing... Spirituality can be described and defined in several ways. Those ways include: believing in a definitive or assumed irrelevant reality; an internal pathway that enables one to learn the real meaning of who they really are; or the genuine standards by which they live. It is also a trust in an authority working in the earth that is far more superior, a sense of being connected with every living creature, and an understanding of the meaning and reason of life and the growth of personal values. Spirituality is often thought of and utilized as a basis of inspiration in life... It may include belief in realities that make no sense or haven’t any meaning or even experiences of the inspirational environment of the world. It's the means of finding peace within, hope, comfort, and meaning in life. 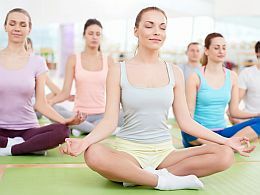 Although spirituality is often associated with religious life and the position(s) by which we are associated with and to God, the environment, one another, and the most sincere parts of ourselves, many people believe that individual spirituality is something that may be increased without religion. Acts of kindness and unselfishness, self-sacrifice, and experiencing peace within, are all distinctive traits of spirituality. Being conscious of and developing spirituality significantly contributes to our happiness and joy overall. And it's in no way too late to increase it more and get pleasure from its benefits. Simply put; the real meaning of spirituality is the pursuit to recognize our genuine selves and to learn the factual nature of awareness. What is spirituality to you? How does a Spiritual Life Coach work? A Spiritual Life Coach can offer an objective perspective... We all are acquainted with the complexity in changing the routine behaviors that don’t help us, and effectively making strides that maintain our longing to live a peaceful, full, and an abundant life. Having someone who is an unbiased contributor to and in our process, that quietly informs us when our behaviors wander off from the goals we are purposing to accomplish, and to help us come up with ways to make doable commitments, is of immense value. The best thing to do is; give yourself immeasurable gifts of inspiration, clear reflection, and accountability through a spiritual life coach. A Spiritual Life Coach is one who offers reflective support... A personal coach can help you stay on track with your life goals in the existence of the spiritual path you’re on. You will get a clear suggestion that is outside the circle of your family, friends, and coworkers. A spiritual life coach also gives an unbiased point that is not influenced by the world’s drama, and this nonjudgmental clearness brings about progress and transformation in the many areas you are purposing to change. You will get inspired... A good coach is not to take the place of family and friends, but they are there to inspire and give support that is specifically geared towards us, without their own agenda. Most significantly, a great coach is there to keep us inspired by reminding us that doing wonderful things in life and or working to understand our goals, never have to be cumbersome. Manifesting and living our purpose should be a joy. Having that one person on our side to keep us from giving up and throwing in the towel; instead behind us, pushing us, to stay excited and energized with life; is invaluable. The coach is also that loving person cheering us on, behind us no matter what the problem and celebrating our successes and triumphs. You will learn to express your spirit... Spiritual life coaches aid us in keeping everything in the perspective of our main purpose and spiritual path. They do so by helping us to make a life that is an accurate expression of our spirit, stimulating us to intertwine our spirit into all facets of our lives. If you need spiritual help, enlist the services of a spiritual life coach.